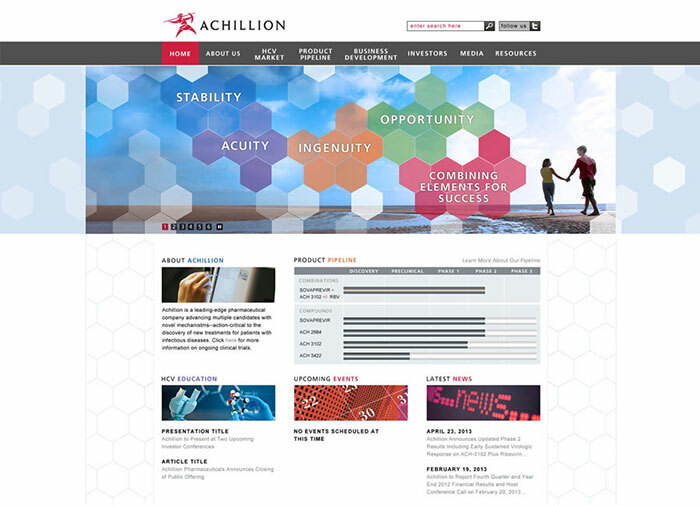 Achillion Pharmaceuticals hired Calfo Design Group to design a website that reflected the company's innovation and acumen in their industry. Under the expert art direction of Jason Calfo, Carrie worked to design a fresh and fully responsive site that prioritized branding, while still delivering important content up front. The hexagonal graphics appear to shimmer across the page, while the new color palette pops.